Russian oil giant Rosneft’s investment into development of Russia’s Eastern Siberia and Far East will total one trillion rubles ($30.8 billion) over the next five years. Rosneft CEO Igor Sechin informed Russian President Vladimir Putin of the investment figures by video linkup. “In the next five years, with your [Putin’s] support, and given that the tariff policy and the tax regime stabilise, our investment in East Siberia and the Far East in a conservative scenario may total one trillion rubles,” Sechin said. 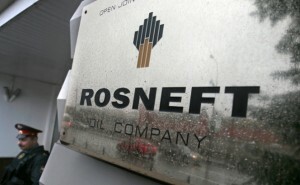 Rosneft’s investment into Far East development will total 52 billion rubles ($1.6 billion) in 2013 alone. Twenty-seven billion rubles ($832 million) will go to oil field development, 23 billion rubles ($709 million) for the modernisation of the Komsomolsk oil refinery, and another two billion rubles ($61.6 million) will be spent on the supply of oil products. “Rosneft is a key production and investment company in the Far East District. Its current production and social-economic initiatives among others include offshore projects, the construction of the Far East Petrochemical Company and an LNG facility, as well as a large scale modernisation of the Komsomolsk refinery and participation in the Sakhalin-1 project,” Rosneft’s press statement says. Development in Siberia and Far East regions is high on the agenda of the Russian government. A Far East development ministry was established last year. Expansion in the regions is also an attractive component of the country’s campaign to improve its investment climate and image. China and Japan border Russia’s Far East region and are expected to be major investors in projects. The Russian Direct Investment Fund and China Investment Corporation established the $2 billion Russia China Investment Fund (RCIF) when President Putin visited China last June. The RCIF has said that it is keen to invest in Russia’s Far East. “Confident growth in the Far East regions and putting their competitive advantages to effective use are among our overall national development priorities and are a condition for balanced growth in Russia’s economy and social sphere as a whole,” Putin said at a meeting on comprehensive social and economic development of the Sakhalin Region.